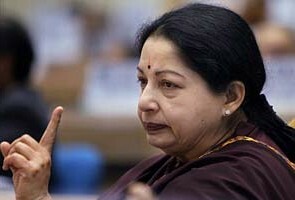 The Global Tamil Forum last night wrote a letter of thanks to the Tamil Nadu Chief Minister Jayalalithaa regarding the resolution in the Tamil Nadu Assembly, which calls on the Indian Prime Minister to boycott the Commonwealth Heads of Government Meeting. “GTF has been greatly encouraged by your previous calls on the Indian Government to ensure a “dignified and honourable existence” for the Tamils in Sri Lanka. We are grateful for your on-going vigilance regarding the situation on the island and the principled position you and the Tamil Nadu Assembly has taken on CHOGM. We hope that the Indian Prime Minister follows your advice.We will continue to prevail upon all Heads of Government and countries of the Commonwealth the need to hold to account President Rajapaksa’s regime.” the letter said. We are writing, on behalf of the Global Tamil Forum (GTF), to express our sincere thanks regarding the recent resolution in the Tamil Nadu Assembly, which calls on the Indian Prime Minister to boycott the Commonwealth Heads of Government Meeting (CHOGM) in Colombo. The support shown by you and the Assembly for truth, accountability, justice and human rights in Sri Lanka is most welcome, as is the commitment displayed to the fundamental principles of the Commonwealth. Your actions have been an eloquent expression of the solidarity of Tamil Nadu with the on-going Tamil struggle for an honourable existence on the island. We hope that Hon. Dr Manmohan Singh MP, as well as other Heads of Government in the association, give serious consideration to the position you and the Assembly has taken and reconsider their participation at CHOGM in November. The impeachment and dismissal of Sri Lanka’s Chief Justice, at the beginning of this year, was a breach of the Commonwealth’s Latimer House Principles. The Commonwealth Election Observer Mission to Sri Lanka, which was in the country for the recent Northern Provincial Council elections, noted that voters “exercised their franchise in the context of a compromised electoral environment […] with the military in the electoral campaign consistently described to the mission as a significant obstacle to a credible electoral process.” In addition, there has been neither accountability for the allegations of war crimes and crimes against humanity committed by both Government and Tamil Tiger (LTTE) forces during the conflict nor any meaningful attempts to address the root cause of the ethnic conflict and war – the discrimination and marginalisation of the Tamil people from the time of independence in 1948. The Government of Sri Lanka is in clear breach of many of the shared values that the Commonwealth is meant to espouse. Democracy, human rights, freedom of expression, rule of law, judicial independence and good governance are under sustained assault. Sri Lanka should not have been given the honour of hosting CHOGM 2013, and should not be in a position to become Chair of the Commonwealth. As you have stated, attending CHOGM, when President Rajapaksa has done so little to protect human rights and address the accountability and reconciliation issues arising from the armed conflict, would amount to a tacit endorsement of the policies of his regime. This is why GTF has urged all Heads of Government to boycott the event and why we support the positions taken by you and the Tamil Nadu Assembly, the Canadian Government and the UK Labour Party. GTF has been greatly encouraged by your previous calls on the Indian Government to ensure a “dignified and honourable existence” for the Tamils in Sri Lanka. We are grateful for your on-going vigilance regarding the situation on the island and the principled position you and the Tamil Nadu Assembly has taken on CHOGM. We hope that the Indian Prime Minister follows your advice. We will continue to prevail upon all Heads of Government and countries of the Commonwealth the need to hold to account President Rajapaksa’s regime. Can The UN Learn From Its Own Grave Failures? Sixty Nine Years After, Are We One Nation, One People?